This salad looks and sounds wonderful! I may try to throw this together sometime this week, yum! 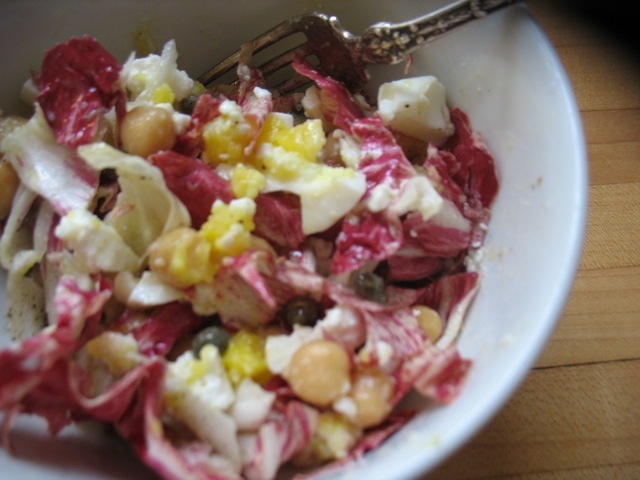 Now, I know how to transform the chicory in my fridge into a delicious lunch. I had never thought of adding egg, capers and chickpeas. 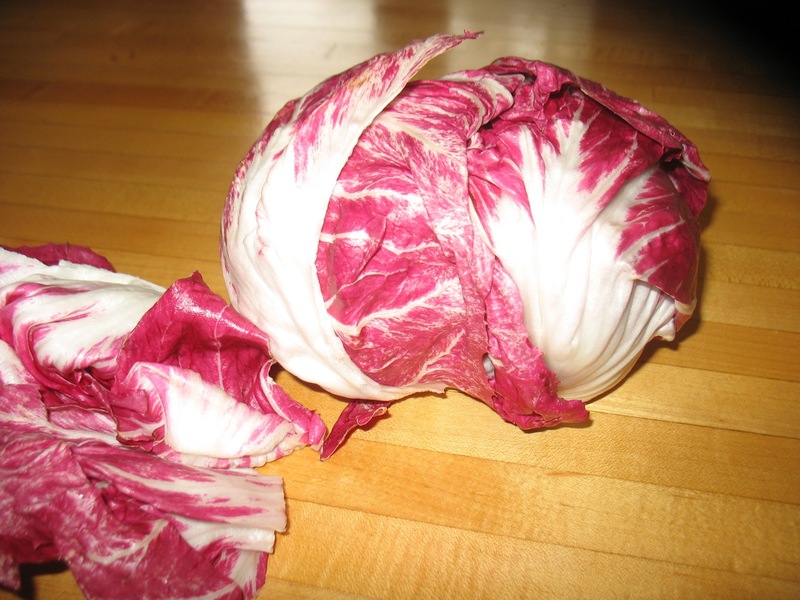 Chicory can really use the addition of other textures and flavors. You are a gem, Katherine. Katherine, Iam very much enthused by your receipts – mainly the winter veggie salad (yummy!) but also the good bet to freeze your own bouillon are convincing and I also love the sweets…I forwarded your website to friends with kids and busy folks – they’re eager to learn more!